There’s plenty of good manga coming in to Midtown Comics this week. Check out picks from the Battle Robot below! KATE: I think I was the only person in the mangasphere who liked Nao Yazawa’s Moon and Blood, so I was happy to see the second volume on Midtown Comics’ shipping list this week. What charmed me the most about this jokey horror-romance was its retro vibe: Yazawa’s characters seem to have stepped out of a shojo manga from the late 1980s/early 1990s. There’s an imperious, handsome boy who’s an ace at everything (and looks like the lead in Itazura na Kiss); a ditzy but energetic heroine with long, curly hair; a dumb but kind thug who’s loved the heroine since childhood; and a child-vampire who looks like a refugee from an early Rumiko Takahashi story. The script won’t win any prizes for originality, but it’s brisk, funny, and — most importantly — never takes itself too seriously. For folks who have OD’ed on angstful horror-romances — and I count myself among that number — Moon and Blood is a great palate cleanser. MICHELLE: There’s actually quite a bit on this list that I can see myself picking up at some point in time. Perhaps the most obvious pick is the third volume of Pretty Guardian Sailor Moon, but I think I’ll choose volume six of Arisa this time, for a little variety. Even though I’m not entirely convinced that mangaka Natsumi Ando knows where her story is going, it is nevertheless the fast-paced and suspenseful tale of a girl masquerading as her twin sister to find out what made her attempt suicide. I don’t know a lot about Nakayoshi, the magazine in which this is serialized, but it’s darker fare than I’d generally expect to find there, all while looking as stereotypically shoujo as can be. An interesting mix, to be sure! BRIGID: I’m going to go with Michelle’s choice and pick up vol. 6 of Arisa. I find Natusme Ando’s manga strangely addictive, despite her wholesale embrace of shoujo manga cliches. I think it’s because she throws in a twist now and then to keep me guessing. I’m really enjoying Arisa, even more than Kitchen Princess, so this week’s choice is an easy one for me. SEAN: It’s tough for me as well, as this week features volumes of two of the most essential shoujo series available in English. Tempted as I am to pick Sailor Moon – which is awesome – I’m going to make my pick the third omnibus of Cardcaptor Sakura. Back in the days when CLAMP didn’t need to confuse its audience, this is still one of their best and most heartfelt series, and Sakura is still one of the quintessential shoujo heroines. This omnibus begins the second half of the series, where the reader wonders where the manga can go now that she’s collected all the cards (answer: quite a long way), and also begins to move forward her cute romance with Syaoran. Great stuff, and Dark Horse’s package is wonderful. 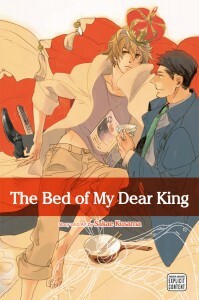 MELINDA: It’s not too often that I choose a BL title for this column, but I admit I’m pretty psyched to see the second volume of Kai Asou’s Only Serious About You finally making its way to Midtown Comics. I enjoyed volume one immensely, and I’ve been eagerly anticipating its continuation. Good romance is so difficult to write, and in a genre where shoddy writing is so widely-tolerated, it’s no wonder few writers really make the effort. Fortunately, Asou is one of the few. She’s the kind of skilled writer who is able to make standard genre tropes feel fresh again, and perhaps even reminds us why they became”standard” to begin with. Though this was officially released in December, Midtown and I are equally behind the times, as I hadn’t realized it was already available. 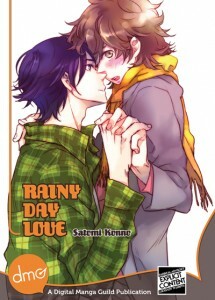 It’s just become this week’s must-buy manga! My only regret is that it isn’t yet available by way of DMP’s iPad app.